Member representing Epe Constituency II in the Lagos State House of Assembly, Hon. 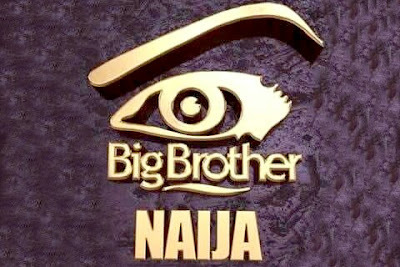 Olusegun Olulade has called on the federal government to reconsider the implications of allowing the Big Brother Naija Show on the Nigerian culture and youths. Olulade, who is the Chairman, House Committee on Health Services, lamented that the contents of the Reality Show were completely foreign to the indigenous culture, which the administration of President Muhammadu Buhari was trying to promote. According to him, the government should swing into action through the Nigeria Broadcasting Commission (NBC), and ensure it stopped the airing of such programme before it further caused serious damage to the culture. His words: “The content of Big Brother Naijashow is alien to our culture. This show is contrary to the rich cultural values we are trying to promote and bring to the front burner. It is sad that our young children including adults are made to watch such content. “This kind of programme promotes obscenity and immorality. We must not encourage such if our hallowed cultural heritage would be preserved. We cannot prevent our inquisitive young ones from watching the obscene displays that permeate the show. “I think the NBC should, without delay, stop this programme if this government means business in the promotion of our cultural values. The show does not add any value to our education, social and economic life,” the lawmaker said. Olulade, also advised the Federal Government to ensure adequate censor of information being aired and sent to the public, noting that such programme as Big Brother Naija was capable of causing distractions to the Nigerian youths and affecting many families. “I will want to urge all parents and guardians to be on their guards and guide their children and wards against the implication of allowing them to keep watching the Show. Our children should not be allowed to be corrupt because this may affect their dreamed future,” he added.